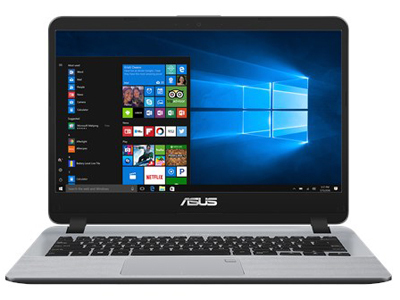 Asus VivoBook X407UA BV113R 14inch Laptop A perfect combination of beauty and performance, the stylish X407 is powered by a 7th Generation Intel Core i7 processor with 8GB RAM. The X407 also features a dual-storage design that combines a superfast SSD with a large capacity HDD. It’s the ideal laptop for daily computing and entertainment.